Get your camera ready! It’s showtime and time to create a video for YouTube, an audition tape, a video for your grandmother’s birthday or an entry for the Facebook Wanna Be a Dray Kid contest. Luckily there is a rewind button and you can stop the recording, rewind and start over. Take 1: You missed starting at the right time. Take 2: You fell on your triple pirouette. Take 3: You paused too long trying to remember the next line to your monologue. Take 4: You were off beat; or maybe off key. 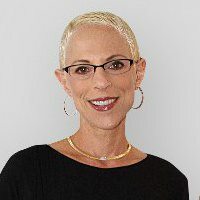 Watch your video, have your friends and family watch it and make sure you focus to the camera or the person you are speaking to; your eyes are not darting all over the place; the sound is audible; the background is appropriate (no open closets or ceiling fans), and we can see the emotion in your face. 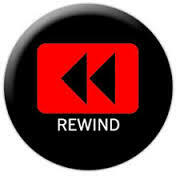 And if you make a mistake… rewind!! 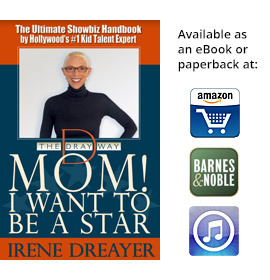 With a live audition or performance, there is no rewind button and very seldom is there a second chance. During the live TV shows like “The Voice” and “Dancing With the Stars” sometimes the person auditioning a song or the celebrity performing a dance would love for the director to yell, “Cut, take two!” But, whether it is forgetting the words to a song or a misstep on the dance floor, they can’t rewind the live performance! So, the pressure is on! You only have one take. In my Skype sessions, I give you the honest truth on what you are doing right and how to correct what you are doing wrong. You can practice, perform for your family or friends, even perform for a stranger, but only Dray will tell you the truth. 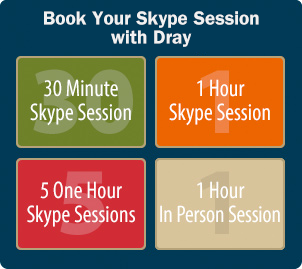 So…the best thing you can do to succeed at that one “non-rewindable” shot is to Skype with Dray at thedrayway.com!